Few home renovations offer as much transformative power as new flooring. When you want to make a substantive change to your indoor space, the positive effects that laying down a new flooring surface can have on interior décor can’t be understated. Breathe new life into any space in your home with an all-new flooring surface. At Harris Flooring America, we proudly provide homeowners with a myriad of flooring products for projects of all scopes and sizes. Coveted for its remarkable appeal and impressive price point, our high-quality wood-look tile in Anderson, SC, is designed for those looking to augment their space with the look of real hardwood flooring for less. Visit our expansive showroom to discover all of the interior design possibilities that await you. No matter what your taste or preference, you are sure to find an excellent flooring selection that meets your every need when you peruse our inventory. Our wood-look ceramic and porcelain tile flooring choices offer desirable looks at merely a portion of their counterparts. Due to the strong nature of our resilient wood-look tile and wood plank flooring, even moisture-prone areas of the home that normally aren’t well-suited for hardwood or porcelain tile flooring can take on an instantly recognizable look. All it takes is a single step in our expansive showroom to find a choice that fits your space. Let our dedicated flooring specialists help you find a selection that will leave you with a dazzling appearance that you’ll enjoy year after year. 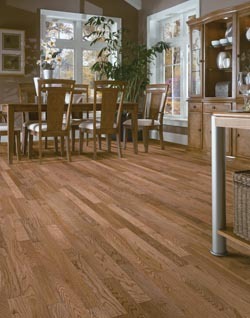 Do you know which wood-look tile would best suit your flooring project? Simply share your design aspirations with our experienced, knowledgeable sales associates, and we’ll gladly help you find a selection that’s sure to meet your every aesthetic and functional need. Whether you prefer ceramic wood tile, porcelain tile, or something else entirely, you can be sure our professionals with leave you with new floors that are sure to impress. Classic or contemporary, no matter where your desired fall along the continuum, you are sure to come away with a new flooring surface that you can be proud of for years to come. Contact our specialists to learn more about our impressive selection of wood-look flooring. We proudly offer our services to customers in Anderson, Seneca, Greenville, Clemson, and Easley, South Carolina as well as the surrounding areas.